The allure of Italy runs deep within travellers, as the country offers so much sensory, historical and cultural experiences that it’s hard to comprehend its beauty. With more than 60 million residents, it’s a destination that sings to the hearts of many. Popular attractions include the Colosseum in Rome, Doge’s Palace in Venice and Milan Cathedral in Milan. Cheap flights to Italy are now available for a limited period of time, so get ready for a taste, architectural and cultural experience! Rome, the capital of Italy, is home to Rome Leonardo da Vinci–Fiumicino Airport (FCO), located 45 minutes from the city centre. Home to some of the most iconic dishes in history, how can you not eat your way across the country which brought you spaghetti bolognaise, lasagna, pizza, and of course, tiramisu and cannolis? 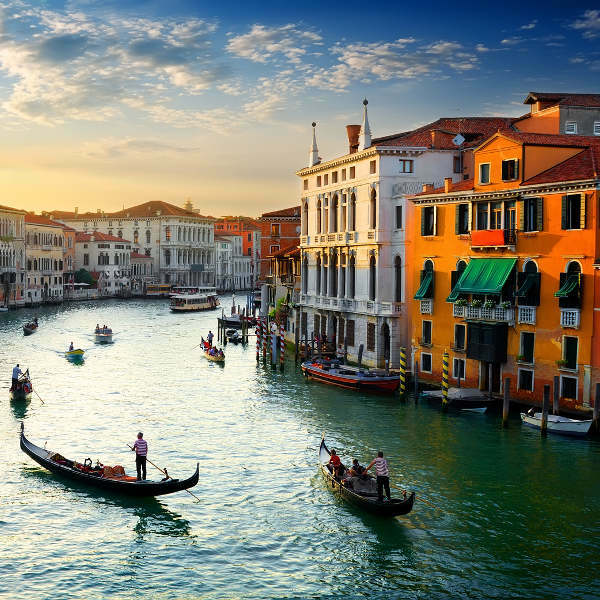 Spend your days in Italy being canoed down the Grand Canal in Venice, day tripping down the stunning beaches on the Amalfi coast, and hiking along the Grand Paradiso National Park. With major attractions that are filled with history such as the Colosseum, the Sistine Chapel, the Leaning Tower of Pisa and the Vatican Museums, the romance lies in the ancient walls of this great country. In August, many of the stores and family-run hotels and B&B’s are closed as Italian families tend to take vacation during this time. It is also excessively hot and overcrowded. The best time to visit Italy is between April and early June, and then again between September and October. During this time the weather is pleasant, and though there are always tourists around the cities, it is less crowded than in the peak summer season of mid-June to August. You can expect a few rainy days between October and November. In general, the north of the country (Milan, Venice) have a colder winter, and if you’re keen on swimming in the spring/autumn seasons, make sure to head to the south (Naples, Sorrento etc.). For cheap flights to Italy, consider visiting between November and February. It may be a little chilly, but you’re guaranteed to miss the crowds and enjoy an authentic Italian experience. What is there to say about Rome that wouldn’t already conjure up some of the most breathtaking images that any historic traveller would love? The much-loved capital city is a pit stop for any Italian trip, with some of the most widely-known architectural masterpieces. Once home of the Roman Empire, the city boasts with remnants of ancient times with wonders such as St. Peter’s Basilica, the Colosseum, and the Sistine Chapel. 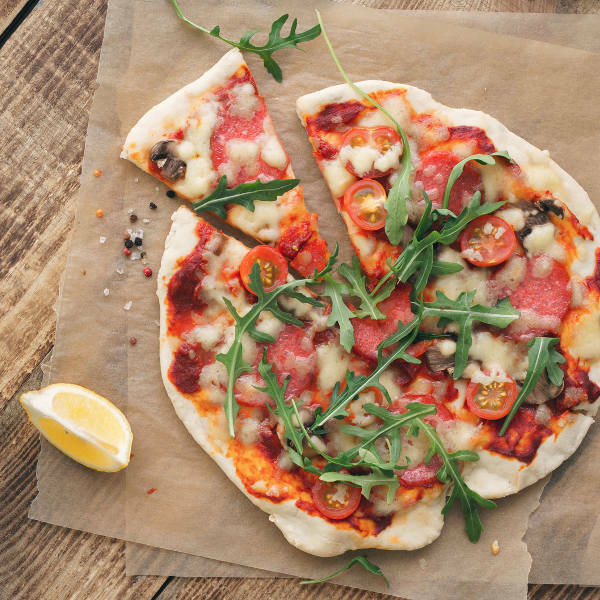 Naples is where you’ll find the best, oven-baked pizza in the world and the most relaxed people who know all about the best of life – making sure to get plenty of rest in the day and partying up a storm in the evenings! Visit the ‘’cradle of Renaissance’’ and sample some of the most exquisite wines and cheeses in the Tuscan valleys of Florence. Fall in love with old-Italian architecture and take in the beauty of Michelangelo too. This jewel of a city is well-loved by visitors for its history, art and architecture. And of course, you cannot leave Italy without walking down the main streets of couture shopping district, Milan. Don’t be fooled by its glitzy cover though, as you’ll soon find that this city is true to its culture too. On a trip to the romantic-lovers city, Verona, catch a live performance of classical works and visit the House of Juliet, from the famous William Shakespeare play, Romeo and Juliet. Compare several airlines, and book your cheap flights to Italy online with Travelstart! Most city centres and main attractions are safe. There is a visible police presence around, especially around the top tourist attractions in Rome, Milan and Venice. There are, of course, some homeless people that will ask for money or someone that might attempt to pickpocket your belongings if they are on display. In general, cities in the south of the country have a slightly higher crime rate than those in the north. Just be aware of your surroundings and you will have a great time in Italy. Before your trip to Italy, make sure that all your routine vaccines are up to date. You will not need any additional vaccines for your trip there, but it is recommended to get shots for hepatitis A, hepatitis B and rabies.